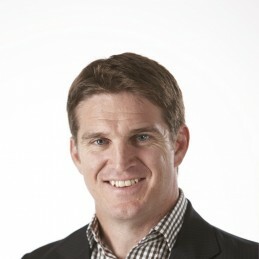 Tim Horan is a rugby great who played his first match for the Wallabies in 1989 as a teenager against the All Blacks. He was instrumental in the Wallabies’ World Cup win two year later. There is perhaps no try replayed more often than the gem scored from David Campese’s over the shoulder, no look pass in the semi-final against New Zealand. Following a horrific knee injury in 1994, he was told by doctors that he would likely never play rugby again. He spent 12 months on the sidelines but made a miraculous comeback in the 1995 World Cup. As part of Australia’s World Cup triumph in 1999, Tim is one of only six players in the world to have won two separate World Cups. Tim was announced the player of the tournament and won a year’s supply of Guinness for scoring the fastest try of the tournament. Since retirement, Tim had a swift transition into the public speaking arena, drawing on his natural leadership skills and delivering with flair and humour. Tim was awarded the Member of the Order of Australia as part of Australia Day celebrations in 2009. He has been inducted into the International Rugby Hall of Fame, the Australian Sport Hall of Fame, and was awarded the Centenary Medal in 2001. Tim currently commentates Wallaby Tests and Super Rugby as part of Fox Sports coverage. He also holds the role of Business Director for the Sports and Entertainment division of Westpac and is a director of Events Queensland. Tim is an ambassador for Queensland Spinal Injuries Association and the Aunties and Uncles charity.